Rain cape with hood and removable lining. 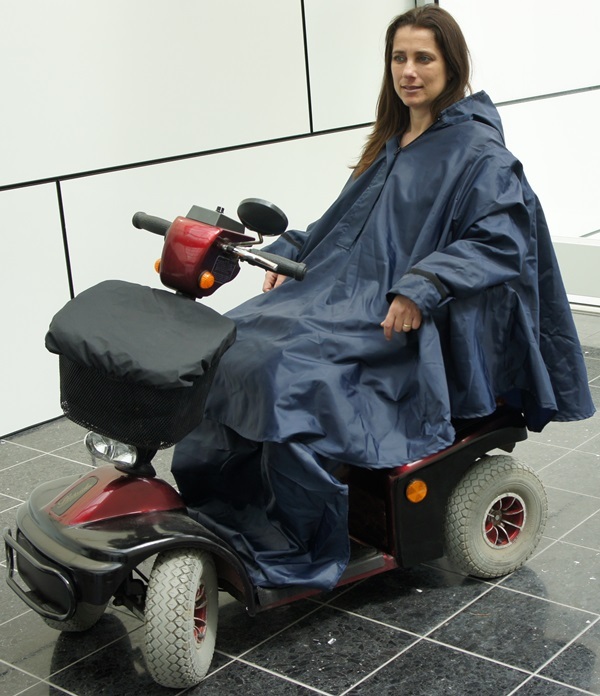 The rain cape is easy to pull on and off and has a comfortable fit. Due to the loose-fitting, the back of the regencpape can easily fit on backrest of the seating area. Therefore, the seat and the backrest will remain dry. The rain cape is made of high-grade, qualitative, water-repellent and windproof polyester. 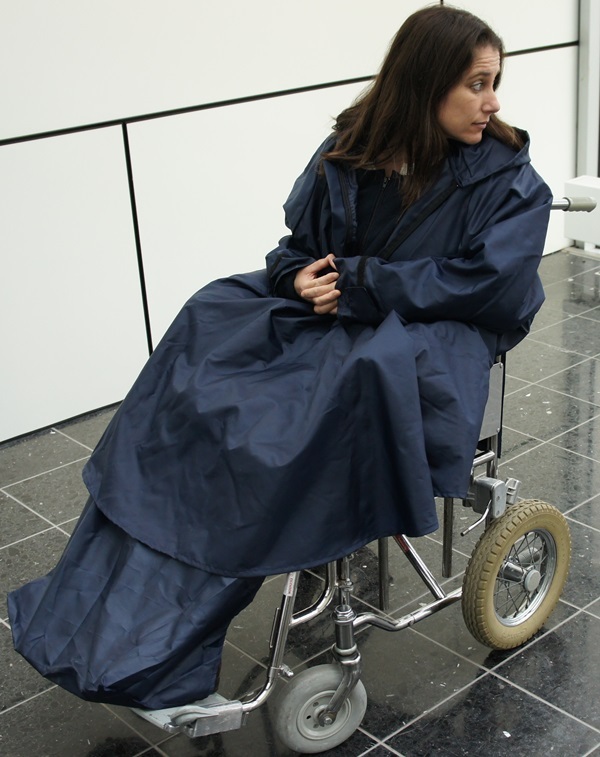 The rain cape is equipped with warm fleece lining. This can be easily removed and can worn separately. In addition a Lap cover is supplied to keep the feet dry. 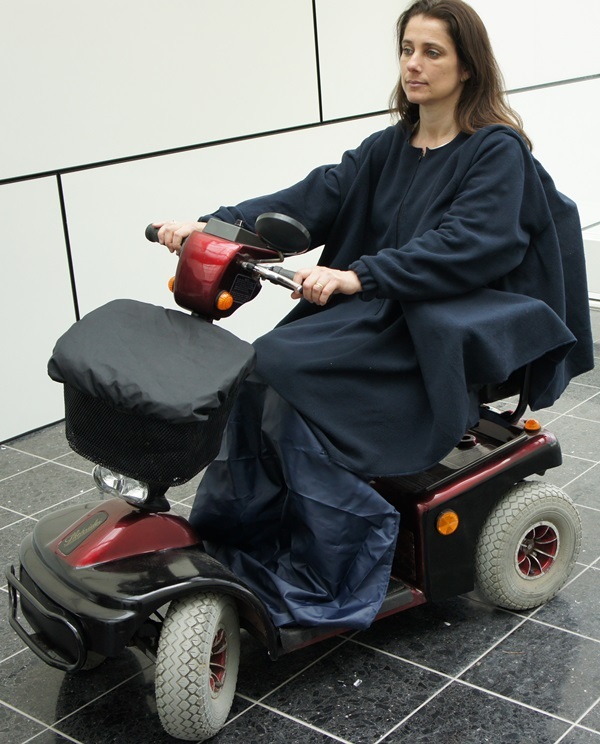 The lap cover can also be worn separately.